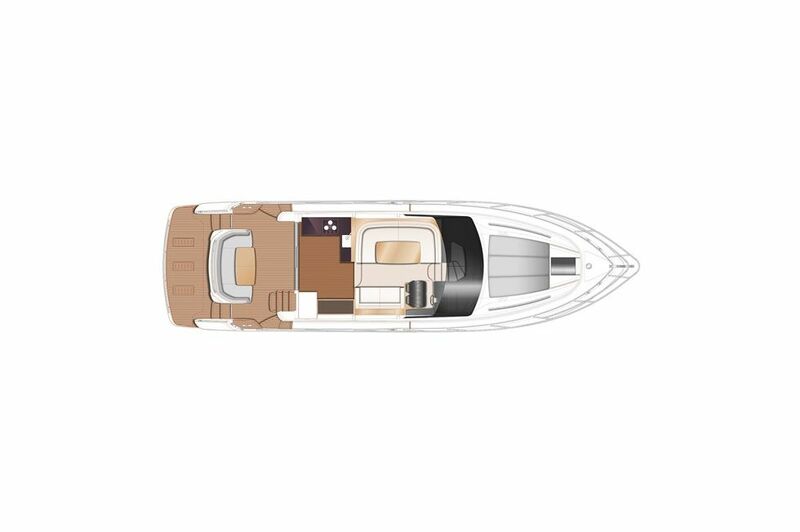 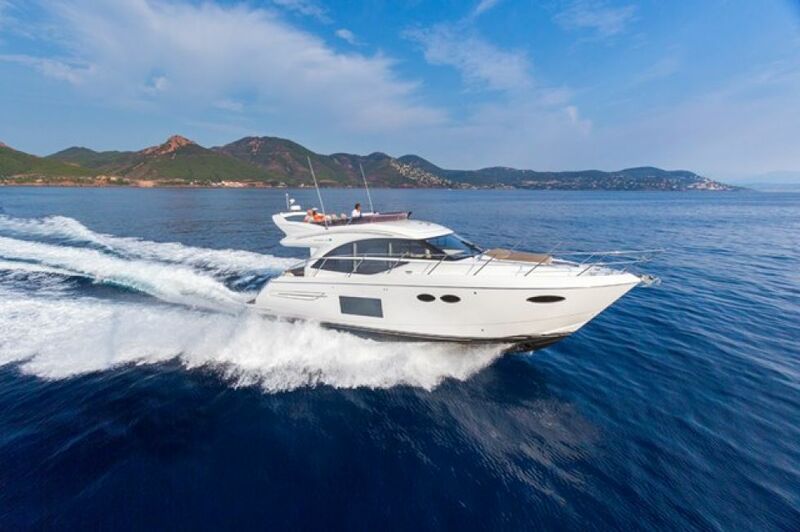 Cutting through the waves at speeds up to 35 knots or cruising at a highly economical 30 knots, the F49 is a sublimely enjoyable experience. 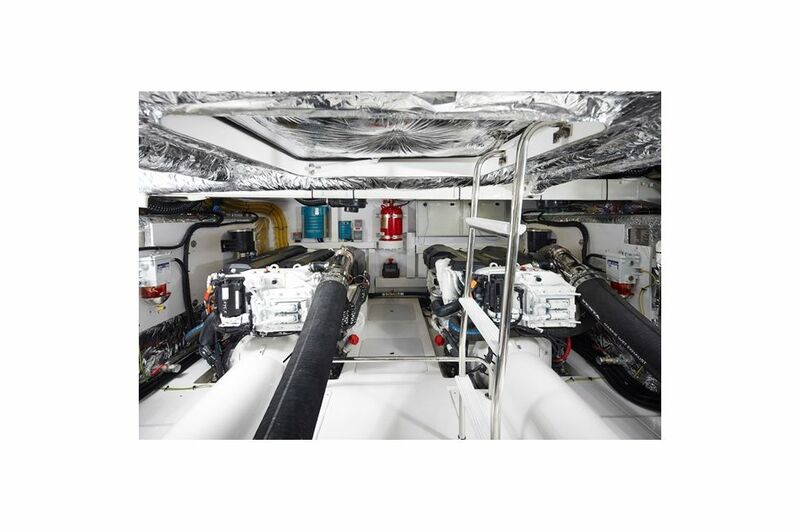 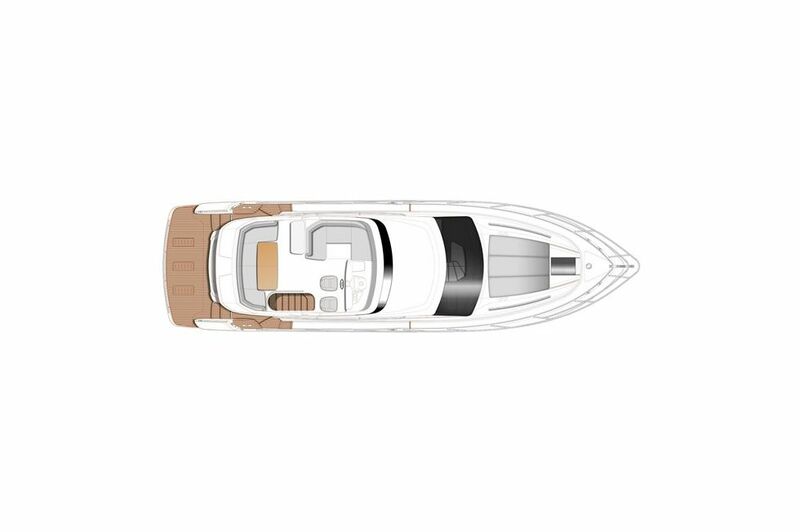 She combines the latest IPS pod drive system with a modified deep-V hull to provide ease of handling and manoeuvrability. 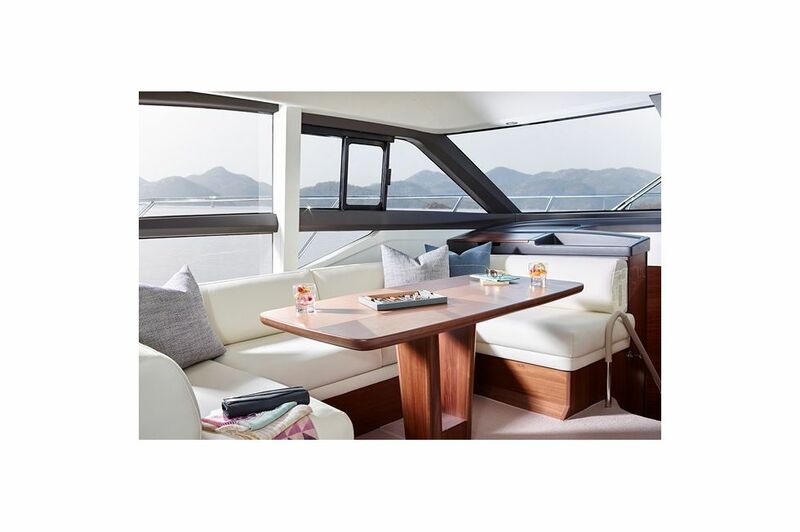 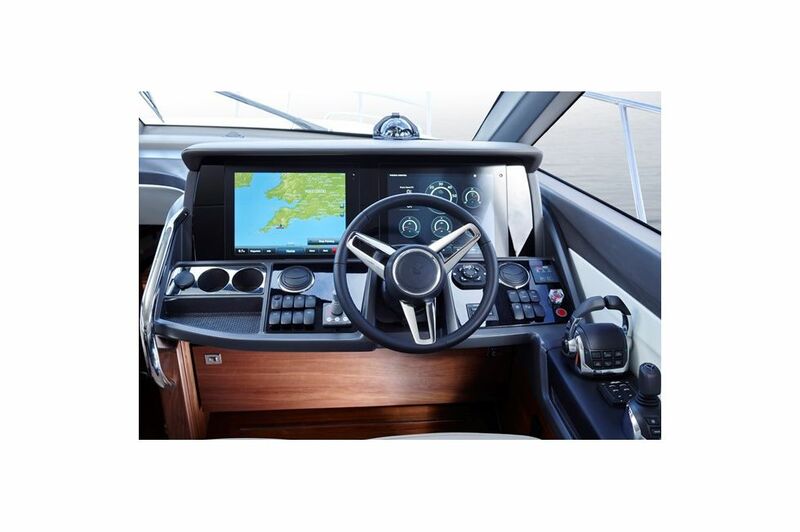 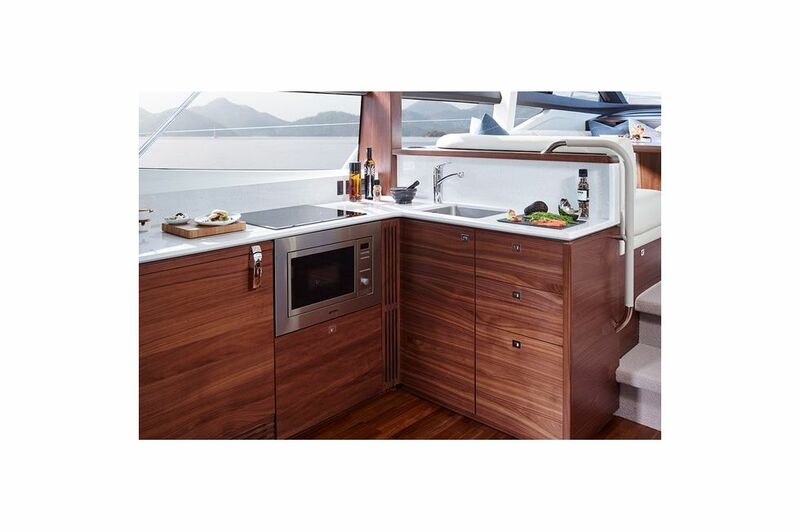 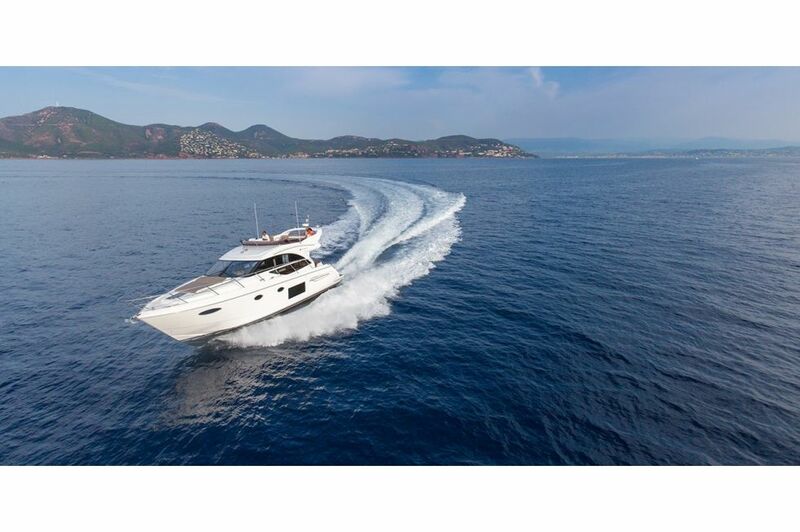 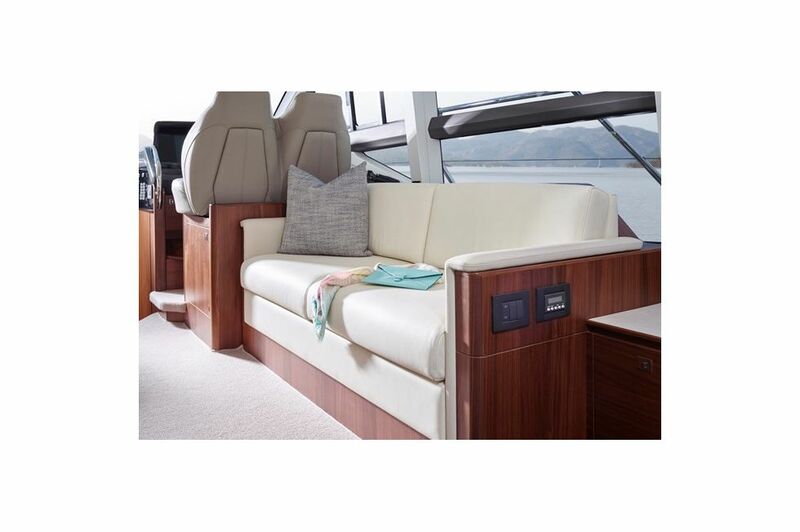 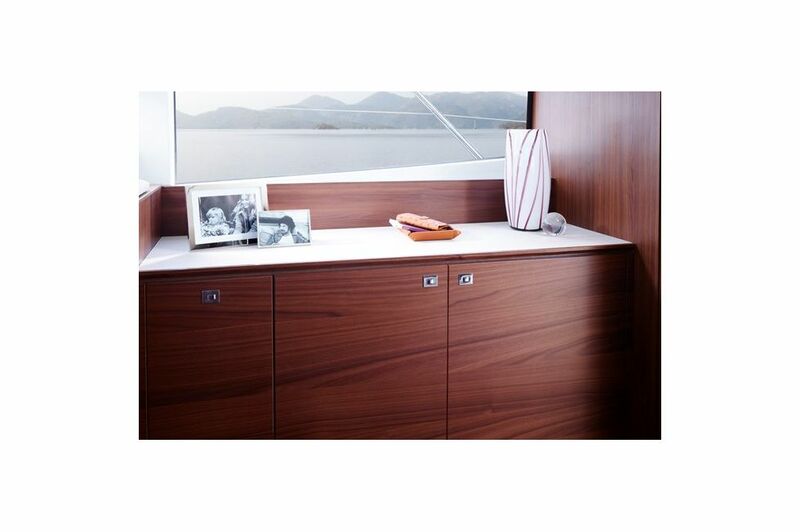 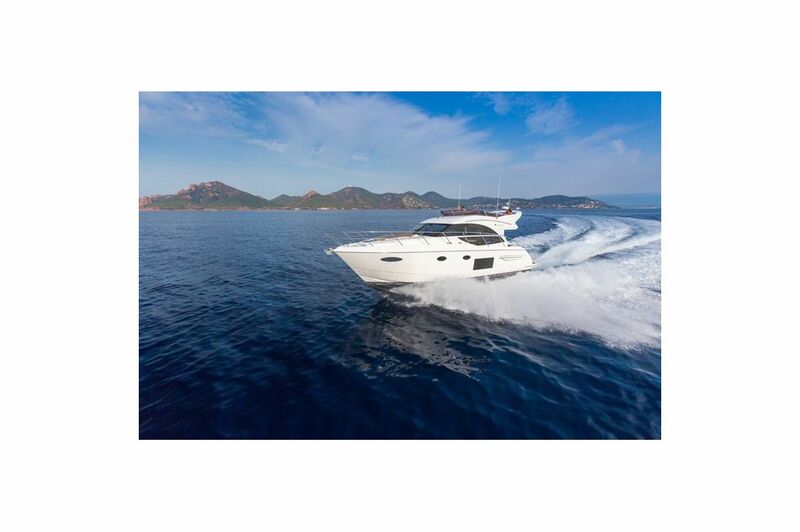 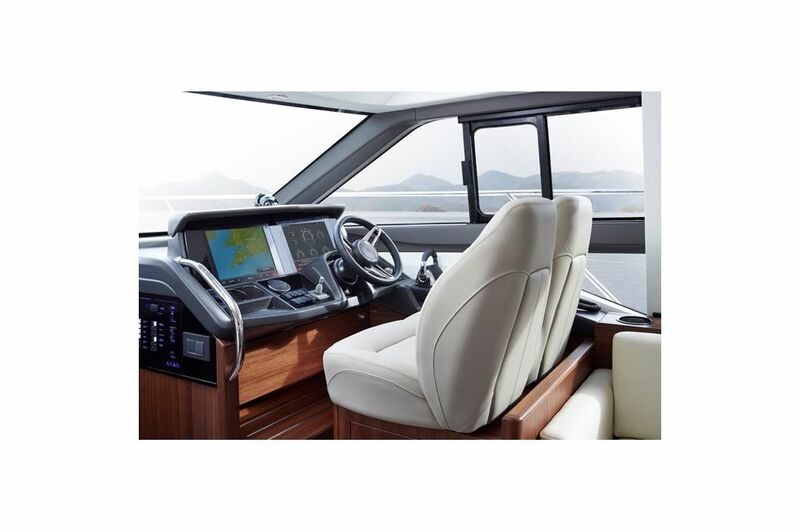 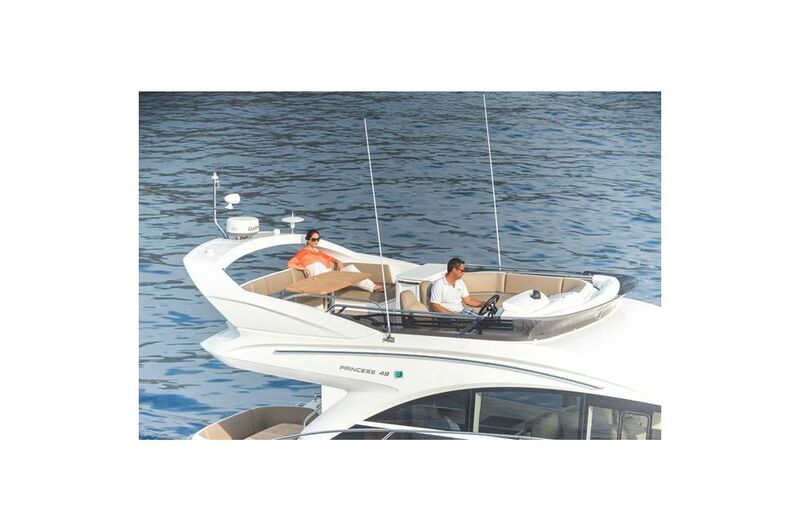 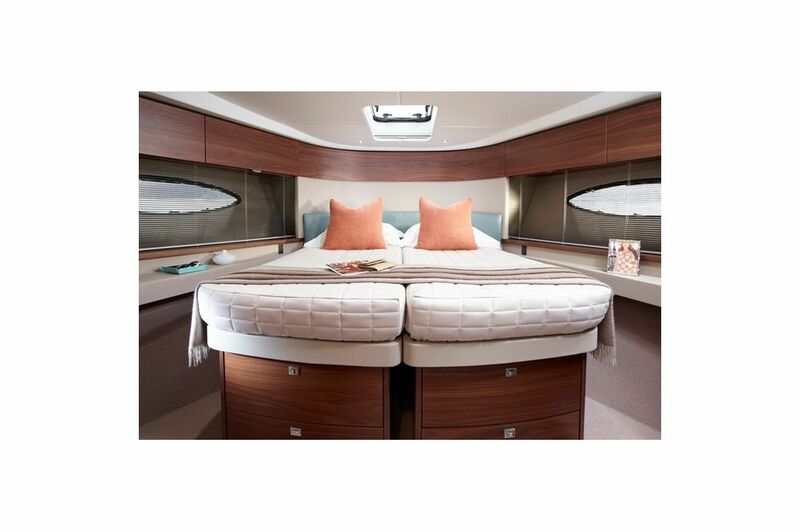 Her social flybridge arrangement enjoys a twin helm seat, convertible L-shaped sofa and generous seating aft. 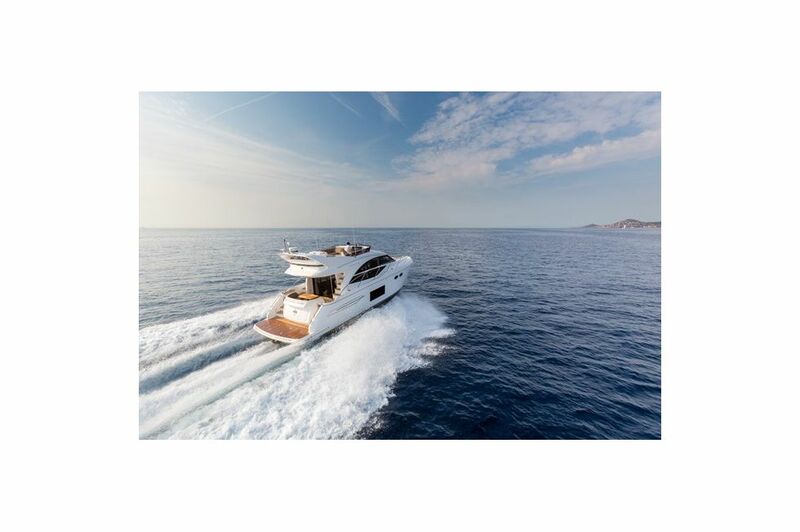 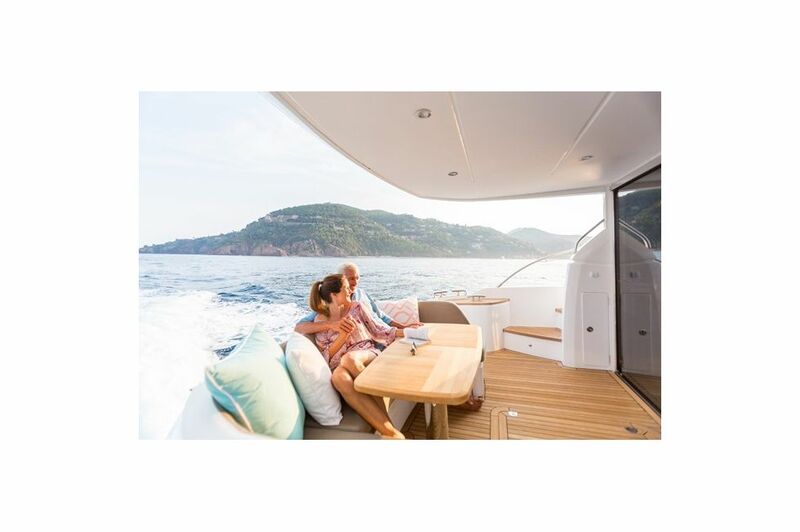 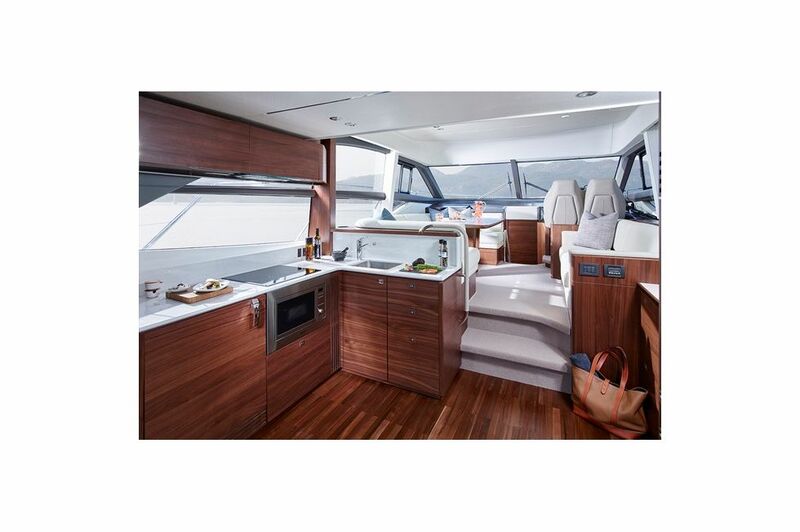 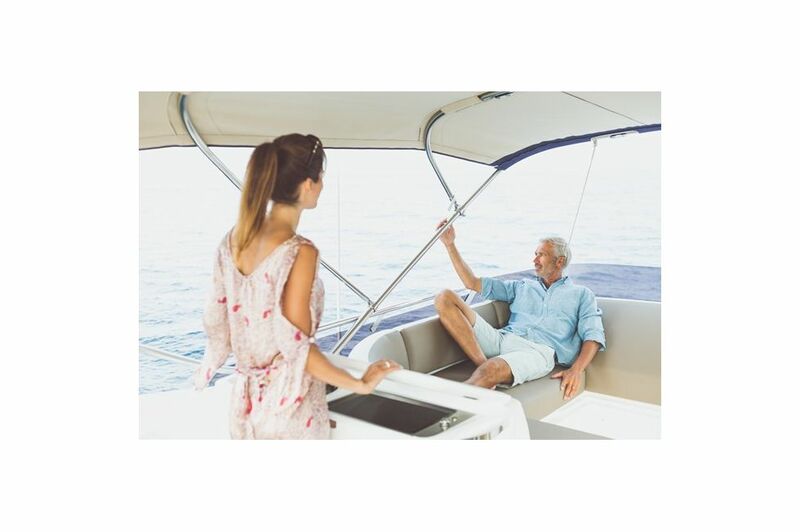 The spacious deck saloon comes alive with light from the panoramic windows and has an ingenious aft-galley layout which can be fitted with a full-height fridge/ freezer. 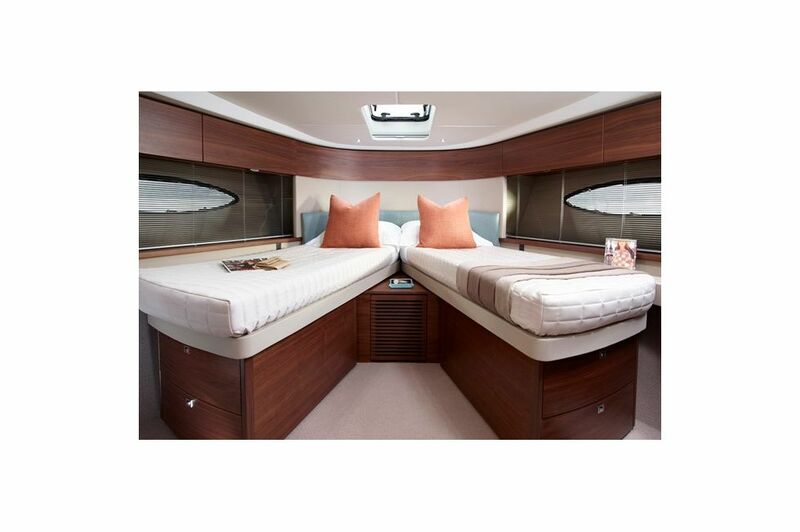 Below deck, her attentively-designed accommodation awaits. 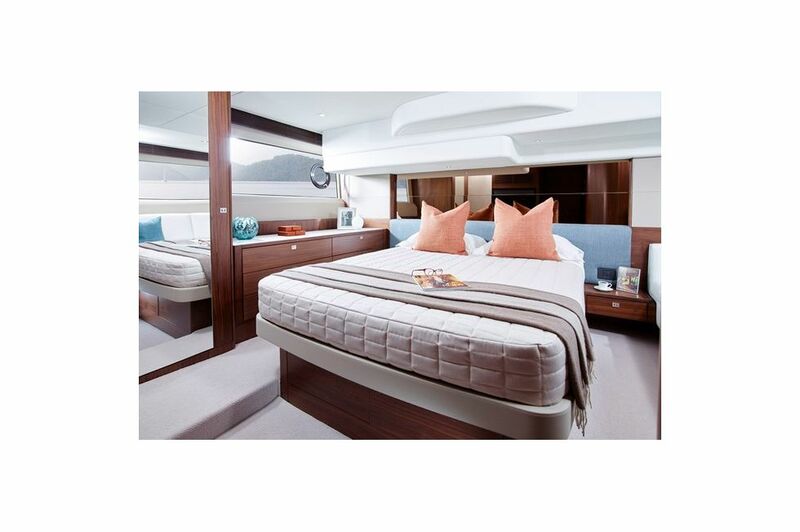 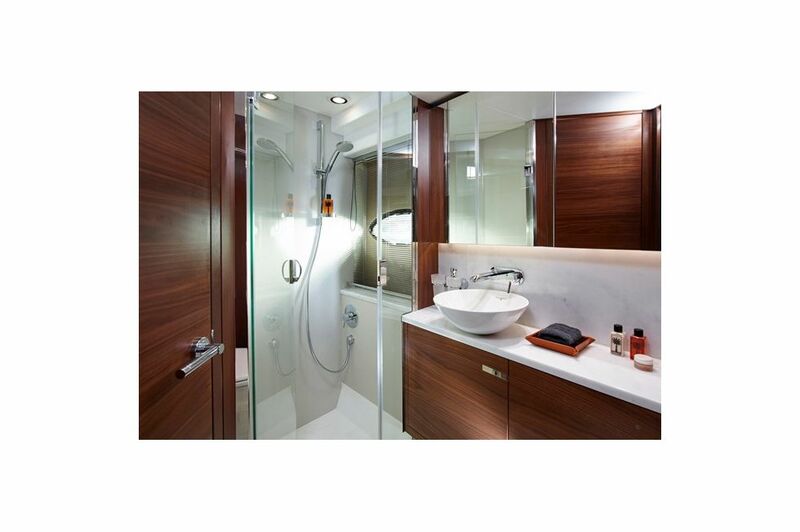 The beautifully-appointed full beam owner’s stateroom has an en suite bathroom, whilst a forward guest cabin, with the option of scissor berths and a generous two berth starboard cabin complete her spacious layout. 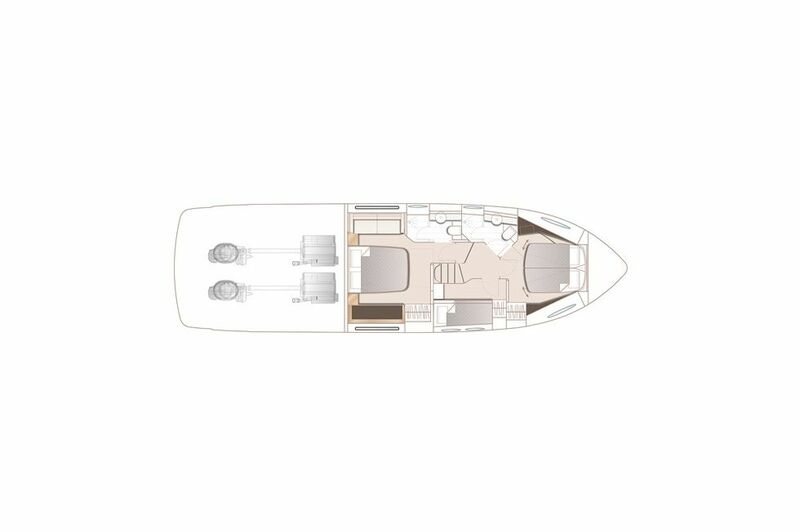 Quite simply, the F49 is in a class of her own.